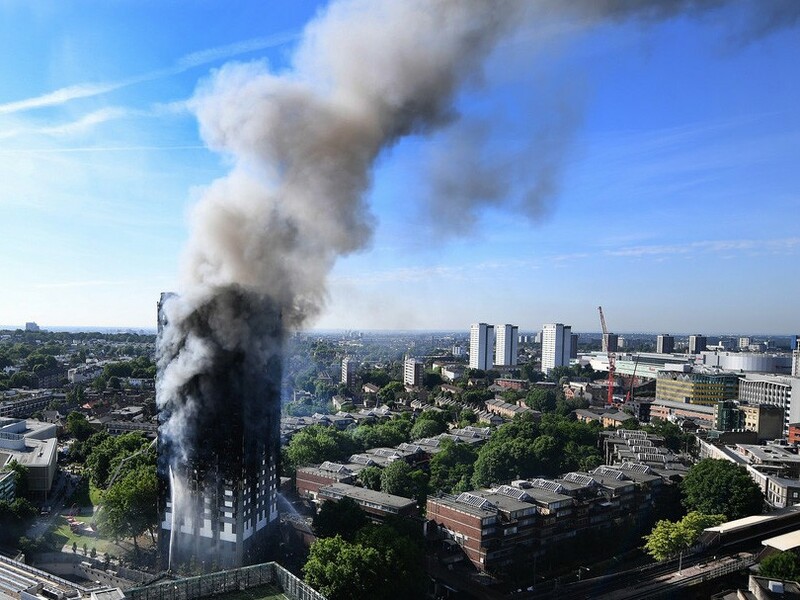 Following the deadly fire at London’s Grenfell Towers in the UK that has resulted in (so far) 58 known deaths, authorities across Australia are scrambling to identify any potential aluminium-clad high-rise death traps closer to home. One area of attention over the past few days has been the city of Melbourne, where what is claimed to have been a similar type of fire at the Lacrosse apartment block back in November 2014, has now become a focal point for state and local government department investigators. But according to the Victorian minister for planning Richard Wynne, there is no need for concern. “The responsible authority, the City of Melbourne, is working to bring these buildings up to scratch," said Wynne. "These buildings have been declared safe, and do not pose a risk to occupants," he said, adding that, "Victoria leads the nation when it comes to building safety regulations, but recent events have highlighted that the misuse of cladding can have grave consequences." Wynne’s assertions are backed up by Victorian Building Authority (VBA), which completed a cladding audit post the Lacrosse fire which it published in February 2016 - and is to date claimed to be the only comprehensive audit that’s been done in Australia. According to the audit, out of a total of 170 buildings surveyed, 85, or exactly half, were found to have cladding fitted in a non-compliant manner. At the same time, noted the VBA, the buildings' non-compliance did not pose a risk to the safety of occupants, with only one, Harvest in Southbank, being the subject of an emergency order from the City of Port Phillip and evacuated. The VBA, along with the Melbourne City Council continues to implement the findings from the audit, with a total of 44 of the 85 non-compliant audits now reported as compliant. There are still 41 under investigation, with 17 buildings still being worked on with the City of Melbourne, said the VBA. The Fire Protection Association Australia, the peak national fire safety and education body, FPA Australia says that it “remains deeply concerned that the Lacrosse apartment building continues to have non-compliant Aluminium Composite Panels (ACP) installed, which does not meet the minimum requirements of the Building Code of Australia (BCA). Meanwhile in NSW, there are claims that up to 2500 buildings could be clad in potentially dangerous materials, although the real figure is unknown. According to a NSW Department of Planning and Environment spokesperson, “There is no known data source on the location of buildings with aluminium composite panelling. “The presence of aluminium composite cladding on a building does not mean it is non-compliant or a safety hazard, the configuration and how it has been used will also be relevant,” said the spokesperson. But much like his Victorian counterpart, the NSW minister for planning and housing, Anthony Roberts, played down any fears and says that there is no need for alarm. Roberts said his department was aware of the issue and was keeping an eye on developments as they happen. “Following the Melbourne Docklands fire in late 2014, my agency wrote to Councils alerting them to the concerns raised by the Commissioner of Fire and Rescue NSW. This letter followed a Planning Circular, which was issued in August 2015 to provide advice to industry practitioners on external wall construction, including cladding materials,” said Roberts. “NSW has been active at the national level working with other States and Territories and the Australian Building Codes Board to develop proposals to strengthen regulation to minimise the risk of using building products that do not comply with required standards,” noted Roberts.